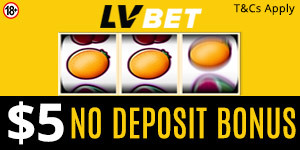 We all know that it’s possible to win big jackpots and make huge losses in a very short time. High-rollers can go home with a lot of money or empty-handed. It’s all about luck, skills, or cheating the system. We’ll talk about 5 famous gambling godheads. Dan Bilzerian is a famous gambler and internet personality. If you’ve seen his Instagram photos, you know that he enjoys being around half-naked women, pools, and alcohol. According to him, betting is an important aspect of life. Bilzerian became famous during the world poker event in 2009 after winning $36,626 and securing the 180th position. His family was wealthy, so the money did not have a significant impact on his life. However, it made him famous as a casino gambler. Bilzerian has won over $50M playing poker and his lucrative lifestyle has led to heart attacks before age 30. Carmichael became a cheater in the 1980s when he was repairing TVs in a shop. He used light wants and coins on strings to manipulate electronic slots and made over $10,000 every day by selling his invention to other cheaters. He got caught and partnered with the Gaming Commission to design anti-cheating tools. However, he was banned from engaging in gambling activities. According to him, it’s hard for Nevada to accept the fact that he made money by cheating. Colavecchio (The Coin) is another successful cheat who managed to forge blackjack and poker tokens. He realized that the slot business was profitable and decided to counterfeit slot coins. His forgeries were so real that it was difficult to differentiate them from the real coins. He had already stolen about $500,000 by the time he got caught. Harris is another famous Vegas cheat who got banned from all casinos. The skilled computer programmer used to identify bugs on casino games before realizing the lucrative business of manipulating machines to make money. He rigged keno and his actions led to the highest win at the casino in Bally’s Atlantic City Hotel. Players could win big prizes by inserting a certain number of coins into the machines. Harris also manipulated keno games by creating a computer program that could predict randomly generated numbers. He partnered with Reid McNeal and the two didn’t show any emotions after winning the biggest prize. However, they went to prison. Archie Karas (Anargyros Karabourniotis) started with nothing and made a lot of money. He lost $50 in 1992 but managed to make over $40M two years later. During the 2-year period (The Run), Karas beat gambling experts like Stu Ungar, Doyle Brunson, and Chip Reese. Would you include other gamblers on this list? Are you aware of gamblers who are blackjack, poker, online slot experts? Kindly share your thoughts with us.